It would be great if every team were of the caliber of the Hart Foundation, Horsemen, or Demolition, but that simply isn't the case. 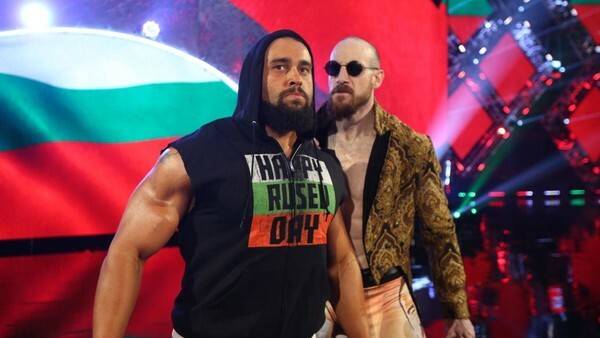 With the good comes the bad and thanks to a poor combination of factors - originality, chemistry, and varied skill sets - WWE often failed to hit it out of the park when they slotted certain people together. Perhaps periods where card-topping duos were front and center never ruled the day in WWE, but since teams like Edge and Christian, the Hardys and the Dudleys made tag team wrestling cool again, tandem offense and powerful pairings once more have the potential to be the most exciting part of any sports entertainment card. If you span over the last ten years of the WWE's tag team division, you’ll find some incredibly talented teams. The New Day, The Bar, and The Usos are just the tip of the iceberg for many of today's WWE fans. These teams are regular show stealers, ready and willing to outdo their singles counterparts. That said, it's a shame so many teams couldn't live up to those lofty standards. Some were blatantly bad despite WWE's best efforts and many were unremarkable - even if it wasn't their fault.